The most important question of the day – How did we ever raise kids without Pinterest? Make a frozen pacifier – genius! 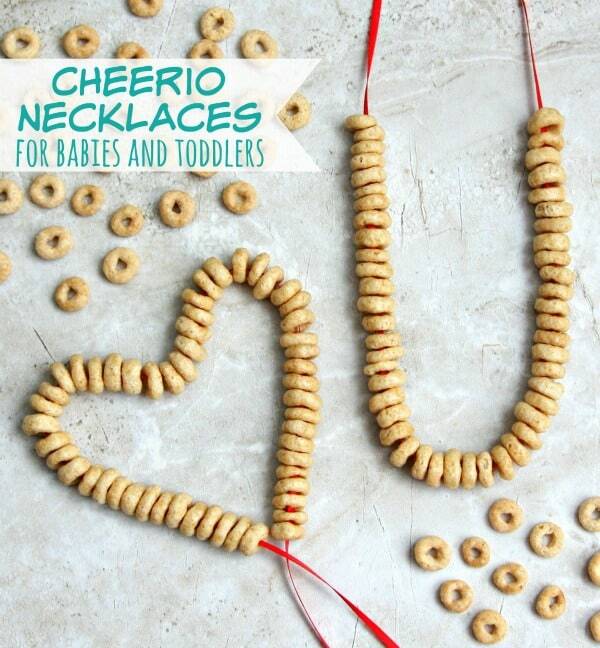 Cheerio Necklace – Woohoo! No more cheerios all over the floor. I will be doing this everyday for Easton. Actually, I’m going to make this a fun craft project for Connor to make for his little brother. Who’s the genius now? 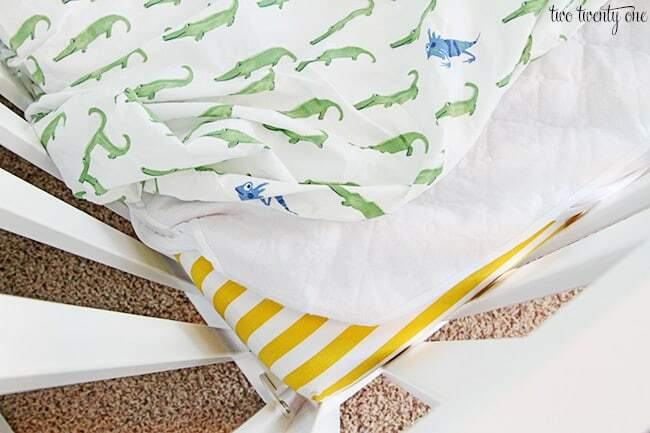 Layer crib bedding – Chelsea, you just might be the smartest person ever! Thanks for this clever baby tip. 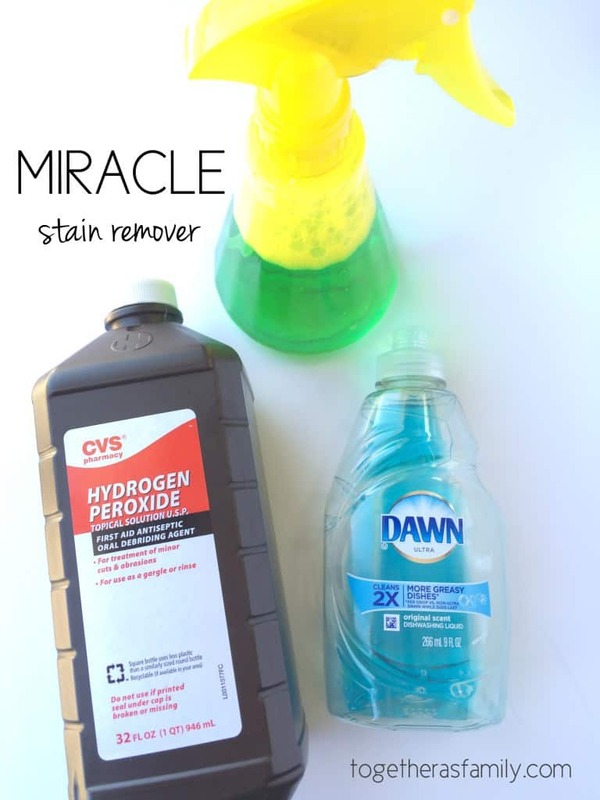 Miracle stain remover that really works – apparently this will work on most stains especially baby food stains which is exactly what I need right now. I will be making this today. 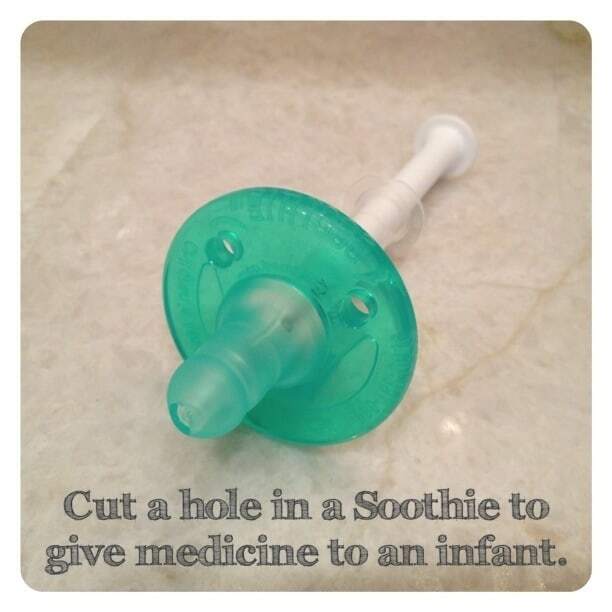 Tip for giving a baby and toddler medicine. I had to give Easton Tylenol for the first time last week and it ended up all over him. I wish I would have seen this tip sooner. 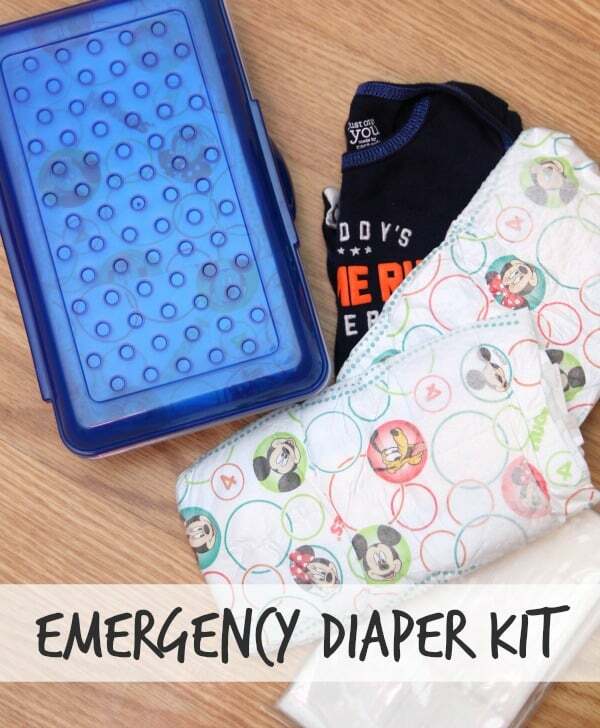 Make Emergency Diaper Kits to keep in your car. 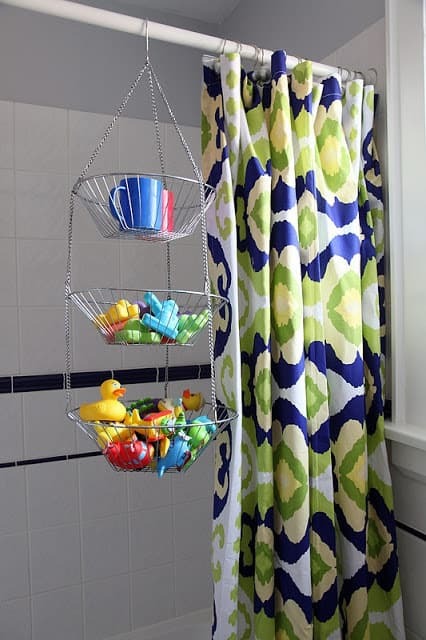 I love this idea of using a fruit basket in the shower to hold bath toys. I’m going to get one and hang it from a hook on the ceiling. I just hope the metal basket doesn’t rust. I guess we’ll find out. 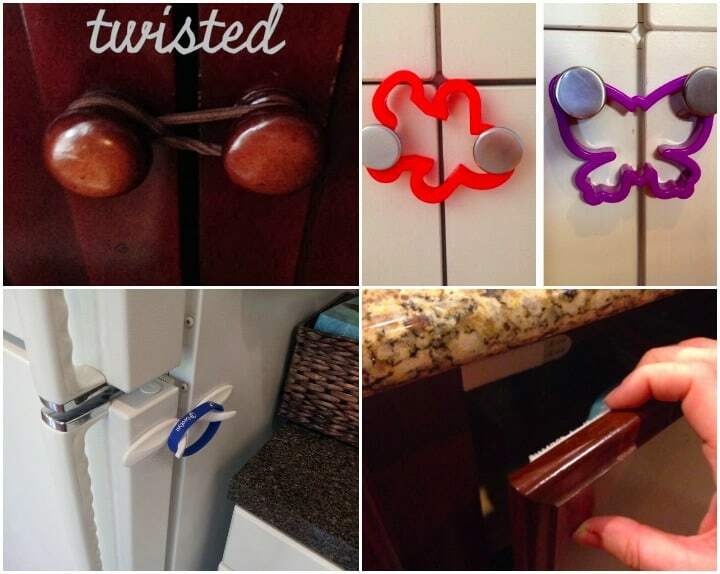 Use hair ties to baby proof your cabinets – which will be great when I need a hair tie. 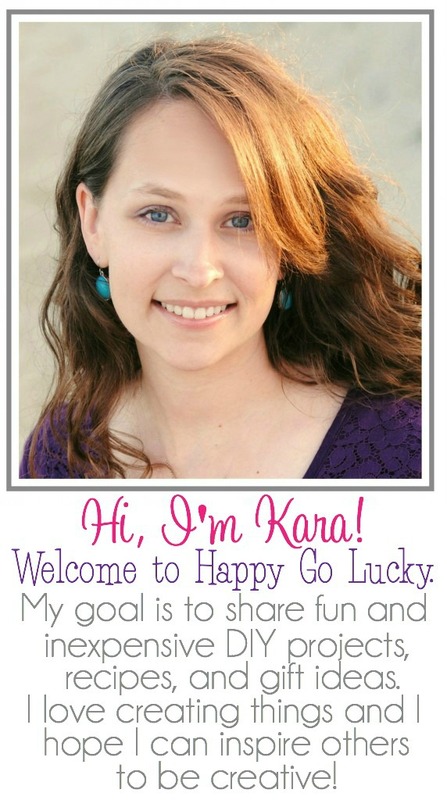 You can also use cookie cutters, command hooks and velcro. 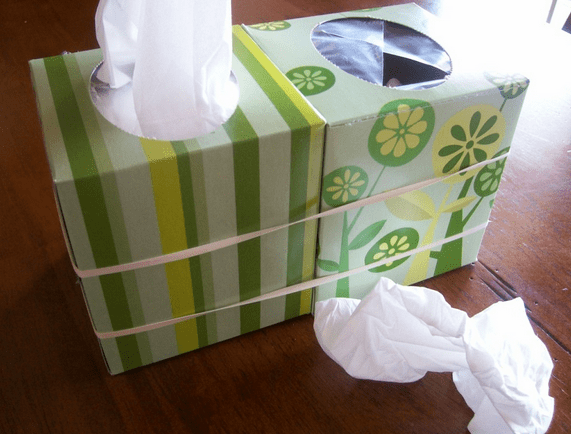 I could have used this a few weeks ago when Easton’s nose was running like a faucet. What a great tip! And now don’t you feel smarter? I know I do. 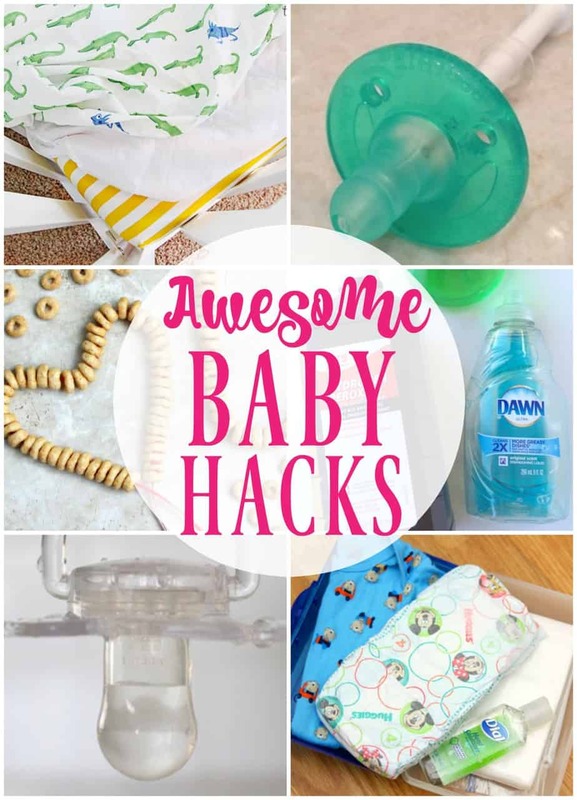 Got a fabulous baby hack? Leave a comment and share your genius tips with us!